The city of Varese presented the plans for the construction of a new stadium in early 1935, and almost one year later, on the 8th of December 1935, Varese played their first match at the ground. 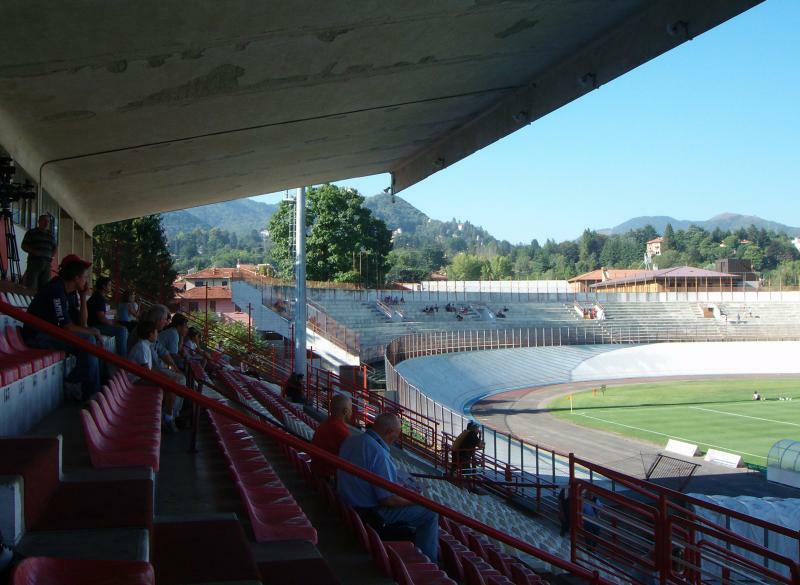 The stadium was initially named Stadio del Littorio, but was renamed Stadio Franco Ossola in 1949, in honour of the Torino striker that died in the Superga air disaster and who started his career at Varese. 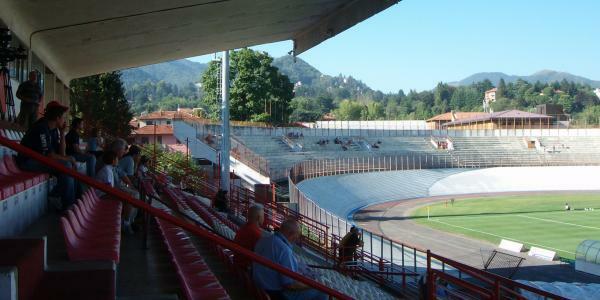 Stadio Franco Ossola has remained practically unchanged, with only a few minor renovations performed when Varese promoted to the Serie B in 2010. Safety measures have reduced the official capacity of the stadium, which is over 20,000, to under 10,000 seats. Any proposals of the club to build a new stadium have thus far led to nothing. Stadio Franco Ossola is located in the north-west of the town of Varese, at just under 3 kilometres from Varese’s historic town centre and a little more from the rail station. Regular trains run from Milan stations Cadorna and Garibaldi to Varese. The journey takes about an hour. From the rail station and historic centre one can reach the stadium with bus E and P. Take bus E in the direction of Palasport or bus P toward Velate. Get off at stop Stadio. If arriving by car from the direction of Milan, take the A8 motorway into town, keep straight on the Via Magenta, then the Via Sacco, and then the Via Sanvento (passing through the historic centre). About 3 kilometres after having passed the roundabout in the centre, turn right onto the Via Saffi (sign for Stadio), and then immediately right again onto the Via Borghi. Tickets for Varese games can be bought at the Listicket sales outlets, at the Casa del Disco on Piazza Podestà in the historic centre, or at the Iper supermarket at the Viale Belforte 315 in the south of the town. Tickets can generally also be bought at the ticket windows of the stadium from 90 minutes before the start of the match, though these can remain closed for a few high-profile matches (e.g. Verona). Ticket prices range from €10.00 for a seat at one of the curves to between €33.00 and €43.00 for a seat at the covered main stand. For more information email biglietteria@varese1910.it. Varese1910.it – Official website of AS Varese 1910. Vareselandoftourism.it – Tourism website of the Province of Varese. Ctpi.it – Varese public transport information.